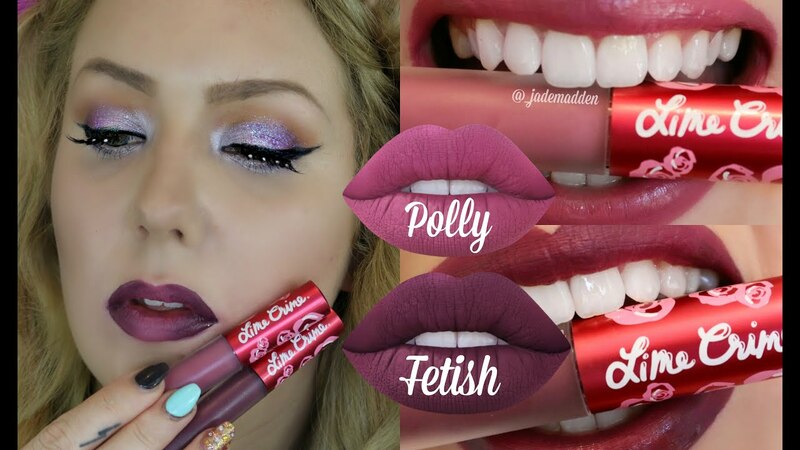 Lime Crime makeup is a popular brand of cosmetics that is both vegan and cruelty-free. The CEO and founder Doe Deere wanted to create fashionable makeup that was made free of any animal products or animal testing. Lime Crime founder Doe Deere has given herself the title of Unicorn Queen, and inspires her many loyal followers on the internet to be themselves and to be unapologetically colorful. The philosophy behind the colorful makeup company believes in being creative, unique, and colorful without needless animal cruelty. Makeup names and color selections are inspired by istening to the brand’s loyal internet fans, and encouraging everyone to be unique. Doe Deere started her company in 2008, after she found it difficult to find vegan makeup in colors that matched her fabulous eccentric look. Color is very important to Doe Deere, in order to express oneself vibrantly. Lime Crime is a trendsetter in makeup for fashionable beautiful people. Velvetines Matte is a gorgeous selection of lipstick colors, inspired by rose petals, with fun names like: lulu, moonstone, and alien. The lipsticks retail for $20 each, and come in an original liquid formula. You can also find a wide selection of nail polishes, eye makeup, and other on trend cosmetics for all skin tones. The company has a large following on Instagram, is reasonably priced, and US orders over $50 ships free! Tap into your inner wild side, feel the energy and express your creative side with this youthful makeup. You will not be disappointed with your makeup selections, and you can feel proud to wear vegan cruelty-free makeup. This entry was posted in Cruelty Free on December 9, 2016 by SMC.